The Tūranga AV Studio is up and running and so far it's been great to see so many interested and talented individuals using the studio facilities. 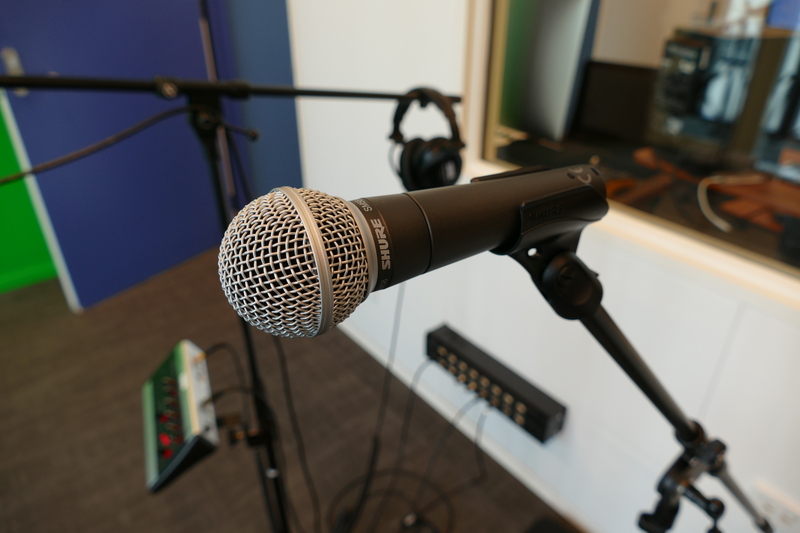 We have noticed a lot of people have been recording vocals and they aren't aware of differences between the two main microphone types: Dynamics and Condensers. Condenser microphones are extremely sensitive and they are very susceptible to distorting at higher levels. They require phantom power to function and are often used with a pop filter to block breath sounds from the performer. Due to their delicate nature they capture an extremely detailed and natural sound. The disadvantage of condenser microphones is that they are so sensitive they will hear every sound, including unwanted noise such as: neighbours, hums, cars, bad room echoes etc. They should definitely not be touched or dropped. Dynamic microphones are much less sensitive than condenser microphones. They don’t require phantom power and are useful on loud sources such as drums and electric guitars. Due to their sturdy nature the sound source needs to be a lot closer to the microphone to work effectively (Think of a live singer on stage with their mouth right on the microphone). This trait is extremely useful when the recording environment is noisy, such as on a stage. 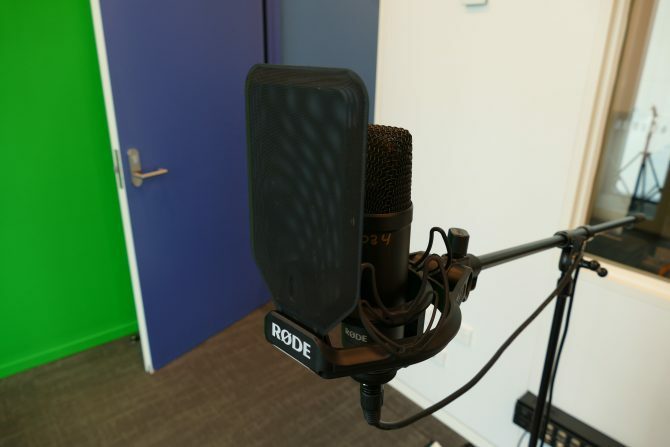 Both types of microphones come in all shapes and sizes, so do the research before you start recording. The microphone pictured below is an Electro-Voice dynamic. Both microphone types are needed in a professional studio. Getting the most out of them requires a little practice and knowledge. 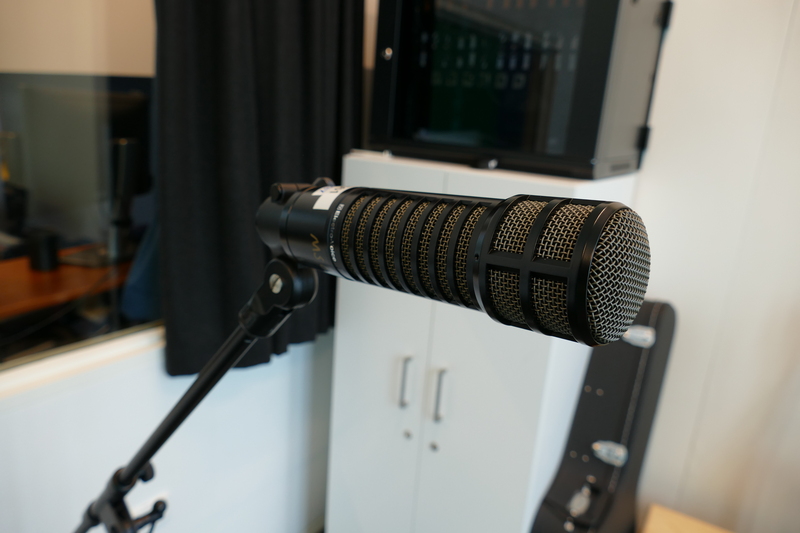 Come and try the microphones out in one the Open Studio times or alternatively, book the AV studio for a recording session. See also: In the AV Studio: How to mix vocals.